Michael Young has a posting on PMHut about closing the project. It's aggressively titled "A complete guide to closing projects"
Now, that's necessary, but not sufficient. What you really have to do is update the enterprise estimating models, not just archive the project. Maintaining models is really the only way to improve estimating. If I say that a "hard" specification requires "X" hours with "Y" skills, the credibility of X and Y are on the line in proposals and in execution. Too many organizations "build a repository of past projects" without putting the effort into mining the information in that repository to refine a model of how the organization really works. And of course, the outliers have to be dealt with, either in the footnotes, or in the distribution of possible outcomes. After all, X and Y should be expected values if they are single numbers, and if not, then they should be ranges, better yet: percentile rankings. To wit: a hard specification requires X hours at the 95th percentile. Now we have something we can work with. My advice: don't just close; be a Closer! I don't like, and don't recommend, MSProject and similar tools for managing a project! There's too much administration and faux assumptions day-to-day managing dependencies for it to be an effective management tool, especially for smaller projects. There's always a mad scramble and a lot of time and effort taken up on evaluating ad-hoc task level interactions, most of which can be worked out by other means. On the other hand, it's a great planning tool to get a project started, including a consideration for dependencies, resource conflicts, and other artifacts. As a planning tool, so long as dependencies are restricted to finish-to-start, and there are no fixed dates, it's a good tool to host Monte Carlo simulations. It's just that once a project is under way, milestone charts, gated criteria, and earned value spreadsheets are better tools on account of their efficiency, even on large projects. I finished an engagement a couple of years ago that went several years, consumed multiple hundreds of millions of dollars, involved hundreds of project staff, and had four blocks of deliveries over two years. And, we never had a task-level project schedule. What we had were swim lane milestones and major dependencies identified between swim lanes. Within the lanes, there were one or more teams and planned interteam dependencies, each team with their milestone schedules, and within teams, there were small working groups, also with milestone schedules. We also did resource leveling with Excel.... that's a good thing! The algorithms in schedule tools can return some silly answers. I always marvel at Excel--it's truly amazing what you can do quantitatively with that tool! We successfully delivered business value. The first block was late--and that was a value bummer--but the next three hit their milestones on time. We did not successfully earn the intended project EV package of cost-performance-schedule. It was an ERP project [Oracle business systems] for a multi-billion$ enterprise. Re EV: ERP says it all! This is much more than just seeing the forest in the presence of trees; this is finding the trees in the first place, and then placing them in context, in juxtaposition, and in relationship so that not only the forest, but all the attributes and nuances of the forest are revealed. Let's begin with the competition to win new business. Bidding competitively is a project in itself; it's only after you win that the execution project begins. One of the tools used by practitioners of the Theory of the Mosaic is the "expert network". These are the relationships that extend in myriad directions and trade "bits" in the marketplace of knowledge [sometimes rumor or conjecture]. In competition, the network extends not only to the potential customer, but to the customer's customer, regulator, appropriator, and suppliers. It even extends to the direct competition. How many of us have sat down with our direct competitor for a chat about the 'opportunity'? Assembling all this information [in many cases, just bits of data, not even information] into a narrative that can be then transformed--through the proposal process--into a WBS, cost, schedule, and performance promise for a winning offer is no small task and requires all the discipline and commitment to an objective that is the mark of successful project management. Of course, one of the tenants of the Theory is that information is hiding in public. Expert networks to ferret out the public information is the secret to success. Usually, there is a bright line--that is, no peek at proprietary competitive information that is unethical or illegal is permitted--but often the line gets blurred, the rules change [sometimes in mid-stream], or international ambiguity [read: culture] mislevels the playing field. Guardianship of such corruption is no small matter. Just refer to the infamous USAF refueling tanker competition for many "don't do this" examples. No project of any scale operates without interpersonal relationships, a dollop of politics, and the obscure actions of many people working on their part. Enter: "expert networks". The project manager for sure, work stream managers, and cost account managers all 'work their networks': up and out to the sponsors, and down and in to the worker-bees. For those experienced in brainstorming, assembling a mosiac from an expert network is really no different. Finally: act on the intelligence! Thanks to Luis Coehlo at "ah-ha-moments.net" for this bit of wisdom. Of course, simple and complex are not two sides of the same coin. The simplist idea that gets the job done can still be quite complex. My definition of simple is that it's the least complexity that is functionally complete and meets 'quality' measures in the large sense of the word: fitness to form, function, effectiveness, efficiency, availability, etc. In the December 9th 2010 print edition of "The Economist", there is a great interview--"Ephiphany in Detroit"--with CEO Alan Mullaly on the quality and management turn-around at Ford. It's certainly no secret that many of the things that made Boeing a great aircraft innovator, developer, and production house are being applied at Ford. There's a lesson to be read about in this interview for all program managers tagged with turning around a project with quality problems. It's no secret that the first thing Mullaly did to get on top of quality was insist on candid discussion from his functional managers and to instill a culture of safety from prosecution if a problem werre raised. The second thing he did was tune-in to what outside objective evaluators have to say; again, he changed the culture from defense to offense. expectations, and the magnitude of uncertainties. Probably the most useful idea in this paper is that risk-informed is different from risk-based. The former takes risk into consideration; the latter adjusts all values for risk and makes a utility decision. In effect, although some quantitative models are introduced and suggested, the main idea is that risk informs decision making but there are other factors that may intervene and override. Just common sense, really. 3. Actual Decision making -- The final decision can be made only after a deliberation takes place (that is, we are describing a risk-informed rather than risk-based process). Deliberation is necessary because there may be aspects of the particular decision that cannot be considered in a formal way. And, I am happy to report that we are in good company with many blogs listed that we follow here. Of course, in a list as long as 50 there's always something to discover. One for me was under the category of Operations Research Blogs: arandomforest.com, One blog on this site caught my eye: posted this past September, it is entitled "The Flaw of Averages and why everything is late" and refers to a book similarly titled: "The Flaw of Averages: Why We Underestimate Risk in the Face of Uncertainty" by Sam Savage. Sam talks about the 7 Deadly Sins of Averages in his paper published in OR/MS Today from the Institute of Operations Research and the Management Sciences. Of course for the risk astute project manager, "expected value" is the statistic of choice, not an arithmetic average. Expected value is a risk adjusted average of all the possibilities that go into an estimate. Thus, it is a richer piece of information, incorporating more of the information in the distribution of possibilities than just an average. Nevertheless, it does no harm to understand Savage's 7 points--just don't throw away useful information by not understanding expected value as well. In "Process Part I", I put it to you that business' are run from a vertical--that is, functional--perspective but most process improvement projects attempt to improve the business by improving cross-functional--that is, horizontal--process performance. The issue for project managers is to convince stakeholders--most of who have a vested interested in the functional metrics oriented vertically--to trust process metrics that are 'invented' or put in place by the project outputs. Without trust, there will be no meaningful outcomes to justify the effort to develop the outputs. One issue is that to support process metrics business data has to be reorganized. Data gathered functionally--that is, vertically--during the normal course of business activity has to be reported horizontally. That requires reorganizing the data schema. The 'get it in' schema is often too inefficient and ineffective to support the 'report it out' needs of the process. One use of a data warehouse is to store the vertical data from the P&L data base in a horizontal form so it can be read out in a process dimension. However, what appears simple on paper--changing the view of the data--is not simple in practice. One principle of system engineering of which project managers are well aware is that "view" doesn't change the underlying facts. One example familiar to project managers is the WBS: the sum of the horizontals [which is one 'view'] equals the sum of the verticals [which is another view]. The same applies to business data. In the case of a DW, it should be to sum up horizontally what the P&L database is reporting vertically. The risk arises in the validation task. The P&L data is 'certified' and 'validated'; the horizontal process view is not. Therein is the risk: data transformations, data timing, and query logic all bear upon results. Project managers are well advised to take this risk seriously. It took one of my projects about a year to validate the DW so that it would add up to the P&L reliably. It's not just a matter of arithmetic. It takes time, and repeated success, to obtain the trust of stakeholders whose livelilhood may depend on the results. It really used to be, decades ago, that the DoD was leading the marketplace in the delivery of software-intensive systems. The harsh reality is that the commercial sector is leading best practices and really pushing the arc relative to software engineering and software development. So, in that regard, the DoD is behind the times. That is not to say that they are not pushing the limits in some areas. The kind of complexity we see in certain weapons systems far exceeds anything one would see commercially, but ultimately, there are a lot of things that the DoD can learn from the commercial world. I wonder if the commercial "best practices" he refers to are Agile, or something from the CMMI? I'm not sure I would put Agile under "best practices" for general development, but certainly for cases of evolving and emerging requirements that are not fixed in anyone's mind, Agile is a risk management solution for that dilemma. And, I certainly wouldn't call Agile "software engineering". Test driven design--TDD--might qualify as an engineering practice, so also refactoring, but most of the rest of Agile is management not engineering. 3. Go beyond functional modeling and get down to modeling the system itself. Make architecture an artifact of the project. To this, I say: Amen! 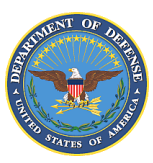 The DoDAF [DoD architecture framework] as a means to bring more emphasis and utility of architecture to DoD programs. Booch thinks DoDAF is effective for modeling the 'enterprise of the warfighter', but is less effective in modeling software intensive systems. Today is December 7th, "...a day that will live in infamy" said FDR a day later in an address to Congress. The events of December 7th, 1941 ushered the United States into WW II as an armed belligerent. 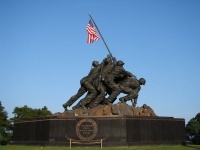 In turn, WW II ushered profound changes into the culture and society of the United States. The enormous industrialization of WW II all but put defined process control on the map. Decades later, "six sigma" emerged, but only after TPM and other quality movements that had their roots in the projects to arm millions of service men and women. The scope of WW II projects was unprecedented, leading to the military-industrial complex that defined and codified program management, system engineering, risk management, analog simulation, and a host of other project practices heretofore unknown or undefined. WW II unleashed innovation as no other world event. The modern research university was empowered. During the war, the laboratories at MIT and CalTech and Stanford were at the forefront of new ideas, inventions, and applications. Since then, a multitude of research universities have been drivers of the innovation explosion in the United States. Although the war drove atomic science, atomic science drove quantum mechanics, an understanding of the sub-atomic structure. From this we have all manner of semiconductors that have in turn been the underpinning of the information age. And finally, WW II beget the 'GI Bill' that sent millions to college and all but invented the modern middle class from which yet more innovation, inventiveness, and entrepreneurship has arisen. It sounds like "...there's nothing like a good war". But that's not the case. The emergency of warfare has always raised the bar. Before the U.S. civil war in the mid 19th century, railroads as a means for tactical support for forces was unheard of; so also electronic messaging...the telegraph in those days. Innovation, as a consequence of great national emergency, is the sidebar that always gets a boost. "Crosstalk" has a new online website that presents the magazine in a truly online format. I personally like the "flip through the magazine" functionality....a really easy way to see the whole issue quickly. This month's edition is dedicated to architecture, ordinarily the domain of system engineering, but a discipline I firmly believe PM's should embrace as necessary in every project. Architecture is the arching narrative that pulls the whole WBS together. And since the WBS is the object of the schedule, architecture helps to integrate all the project pieces. Architecture is an abstraction of the WBS; its that level of detail that's usually of interest and important to sponsors, stakeholders, and beneficiaries .... therefore, it's important to PMs. Architecture tells us the topology of the system, product, or process. Topology tells us about hierarchy, interconnectedness, and whether nodes are reached by point-to-point, hub-and-spoke, or some mesh circuitry. In some cases, architecture gives the protocols, that is: the rules, by which elements of the system tie together. Architecture gives form to requirements. Cohesion is a measure of "stickiness", the degree to which elements of the project outputs will hang together under stress, work together well in the environment, and not do chaotic or disparate things when stimulated differently. Good cohesion is good and lowers risk. Coupling is a measure of interference or dependency between units, subsystems, and modules. In general good architecture respects natural boundaries; disrespect leads to strong coupling and propagation of errors, stress, and failures. Loose coupling that traps effects before they propagate to other components is generally good, and lowers risk. Summary: pay attention to architecture! From time to time, the debate reemerges about the definition of the WBS. And so it happened again last month with a series of exchanges about 'work' vs 'the product of the work'. This time, the fireworks began with a posting my Mike Clayton, followed by several responses from readers and critics. But really, I think all the controversy can be reduced to one word: "Microsoft". Microsoft can be blamed for everything. Microsoft beget MSProject, and MSProject captured the market for an inexpensive and easy to use scheduling tool decades ago. Being mostly a database of tables and fields, with some application code written around it, MSProject allows the user to expose certain fields that have a built-in data definition. One of these fields is entitled "WBS". However, schedules are the world of 'verbs': actions that are to be scheduled. The WBS, on the other hand, is the world of the 'nouns', things that are memorials to completed actions. MSProject's application is not smart enough to distinguish between the 'nouns' and the 'verbs'. So, even if you have been diligent by making the summary row a noun with the subordinate rows containing the scheduled verbs, when the WBS column is exposed all records [rows] in the database [schedule] acquire a WBS number in an indentured and sequential order. The numbering is part of the application functionality. So, naturally there is a confusion between schedule and WBS if you do not give the field [aka 'column' in the application] a user-defined 'title'. I like 'index', as shown in the figure below, but pick your own. Caution: do not rename the 'field name' since the field name is sacrosanct in the database. Prospect Theory is an explanation of choosing among alternatives [aka "prospects"] under conditions of risk. Amos Tversky and David Kahneman are credited with the original thinking and coined the term "prospect theory". If there is a common element to both choices in a decision, decision makers often ignore it, isolating the common element from the decision process. For instance, if there is a bonus or incentive tied to outcomes, for which there is a choice of methods, the bonus is ignored in most cases. Here's another application: a choice may have some common elements that affect the order in which risks are considered; the ordering may isolate a sure-thing, or bury it in a probabilistic choice. Consider these two figures taken from Tversky and Kahneman's paper. In the first figure, two probabilistic choices are given, and they are independent of each other. The decision is between $750 in one choice and $800 in the other. The decision making is pretty straight forward: take the $800. In the second figure, choice is a two step process. In the first step, the $3000 is given as a certainty with a choice to choose the other path that has an EV of $3200. This decision must be made before the consequences are combined with the chance of $0. The decision outcome [at the square box] is either sure thing $3000 or expected value $3200. But, there is then a probabilistic activity that weights this decision such that at the far left chance node the prospect is either ($0, $750) or ($0, $800). So, the EV of the prospect is the same in both figures. However, in Figure 2 the second tree has the 'certainty' advantage over the first tree with the choice that is available to pick the sure-thing $3000 at the decision node. Quoting Tversky and Kahneman: "An essential feature of the ..... theory is that the carriers of value are changes in wealth or welfare, rather than final states. ...... Strictly speaking, value should be treated as a function in two arguments: the asset position that serves as reference point, and the magnitude of the change (positive or negative) from that reference point. " The point here is that the authors postulate that every prospect has to be weighted with a factor that represents this value idea. The weightings do not have to sum to 1.0 since they are not probabilities; they are utility assignments of value. Weightings give rise to the apparent violations of rational decision making; they account for overweighting certainty; taking risks to avoid losses and avoiding risks to protect gains; and ignoring small probabilities, among other sins.